Suffered a terrible accident, overcame adversity and today a UN Ambassador and a Motivational Speak. Women in the World Emerging Leaders Award New York in 2016. Malvika Iyer's history is the story of the iconic characters that drive the great achievements of Humanity. It is a woman who rose above the catastrophic events that bifurcated the trajectory of her life. In seconds she went from being a beautiful young teenager to being a fighter, who knew for herself the sad face of discrimination suffered by people with disabilities. Malvika had to struggle to survive as a double-amputee girl, barely 13 years old, as a result of the explosion of a grenade in her small hands. She lost both hands and her legs were neurologically weakened. However, her heart was strengthened by the courage of the brave who find in adversity the path to greatness. In only 18 months after the terrible accident, the young Malvika set her first goal and with the assistance of a scribe passed the exams required to reach the "Tamil Nadu Secondary School Leaving Certificate, SSLC". She knew that the high school certificate was the first step in her empowerment as a young disabled woman. The world still did not know Miss Iyer's potential and how her voice would transcend borders in search of the visualisation of disabled people. 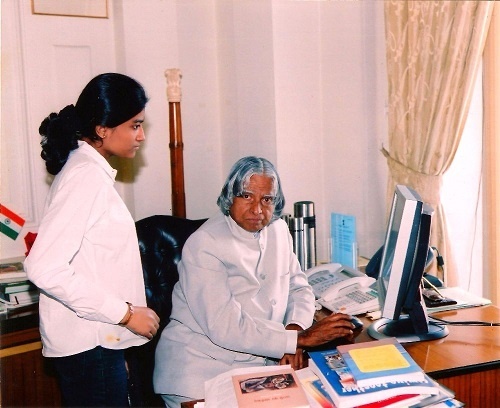 The people of India, marveled at the young woman's achievements when her story was spread through the press and even President APJ Abdul Kalam extended an invitation to meet her. 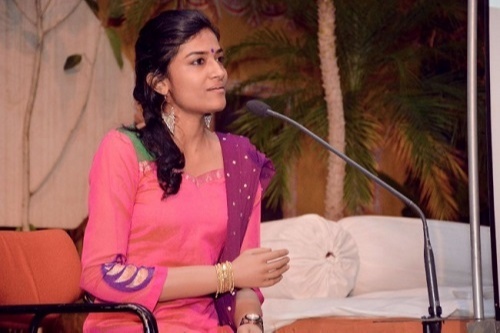 That meeting awakened in Malvika a broader perspective on the situation of the disabled and the losses, human beings suffer throughout their lives: "All of these are challenges and human beings have the potential to rise above difficulties”. She discovered early on that the real challenge for people with disabilities is for them to be recognized as equals and included in all facets of life in society. 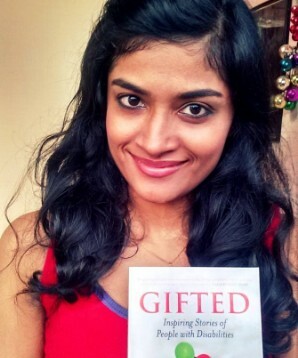 Malvika Iyer has a degree in Economics from St Stephen’s, a Master's degree in Social Work from Delhi and a PhD in Social Work from the Madras School of Social Work in Chennai. Dr. Iyer's academic achievements are evidence of the intellectual equality of people with disabilities in relation to people without disabilities. Even Iyer's doctoral thesis exposes intense research on the reasons for the stigmatization of people with disabilities. She expresses that the origin of the segregation of the disabled is found in disinformation. Dr. Iyer describes the deep gaps and voids contained in the study programs for children and young people, which do not develop issues that train students in relation to the existence, demands, and potential of disabled people. Among Dr. Iyer's sociological contributions is the attention to the issue of fashion for people with disabilities. It is a topic of great relevance as the disabled for centuries adapted for the supply of clothing and footwear that does not meet their specific needs. Malvika is a model for the production of clothing for people with disabilities. This is a statement of principles: "Disabled people are people who demand to be included in all spheres of a modern society”. Dr. Iyer is recognized as a tenacious fighter for the social inclusion of the disabled and the stigmatized in general. For women, she is a symbol of empowerment, as it is the voice of women who do not fit fashion standards. Malvika defends what she has called "body positivity", accepting ourselves as we are: "We are different human beings who belong to the same species and therefore have the same rights". In addition, Dr. Iyer demands the commitment of societies to create "accessibility" in all fields from fashion, politics, laws etc. She is a motivational speaker of international fame who through the word fights to change the social stigma of people who are socially perceived as "victims" and not as "fighters". Iyer travels the world calling on societies to join in the construction of a more equitable world, disclosing the potential of people with disabilities and exposing the need for legislation to place disabled people on an equal footing with the rest of society. She is recognized in such important forums as the United Nations and the World Economic Forum. As UN Ambassador for Youth Development, she travels the world as a motivational speaker and tireless fighter against stigmatization and segregationism against people with disabilities. In March 2018 she received the Nari Shakti Puraskar Award and was called "Adbhut Naari " - wonder woman - by Prime Minister Narendra Modi. Some people say that Malvika Iyer is much more than a "wonder woman" she is a "Wonderful Human Being".